Great Place to Work® Institute Canada. programs which also happen to appeal to Millennials. thrive,” said Lisa Sterling, Chief People and Culture Officer, Ceridian. Millennials working within a list of eligible Canadian Organizations. Initiatives, and Rewards and Recognition in Canada can be viewed here. 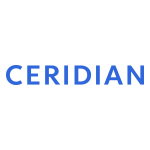 culture that appeals to young people, please visit the Ceridian blog. those published by Fortune magazine (USA) and The Globe & Mail (Canada). needed to create, sustain, and recognize outstanding workplace cultures.